This was the question that led me to start The Write Practice in 2011. Learning experts like Geoffrey Colvin and Malcolm Gladwell say if you practice at a task deliberately, you will improve far more quickly than if you just perform the task for fun and with no forethought. The Write Practice was my attempt to give writers a place to practice writing deliberately, for fifteen minutes a day, six times a week, and apparently it has hit a nerve. We’ve had hundreds of writers participate in our practicing community. I’ve talked to dozens of high profile people in the writing world about how to improve your writing through practice, including editors of some of the top literary magazines, creative writing professors, and even Pulitzer Prize winning authors. All of this has led me to the conclusion that one of the best ways to improve at the craft of writing is by writing short stories. Even more importantly, to practice deliberately have to put your writing skills to the test. Researchers as early as the 1890s have found that when people are tested, they improve significantly, even people with years of experience at a task.2 Compare that to how you write. Too many of us write whatever we feel like, and then wonder why we’re not getting better (or worse, why others aren’t responding to our “art”). It’s fine to write as a hobby. Writing is fun. However, if you just write what you feel like you will improve a lot slower than you will if you “test” yourself by constantly submitting your work for publication. You can write novels and publish novels to “test” yourself, but novels (obviously) take a lot longer to write than short stories. That’s why MFA writing programs across the country rely on short stories as deliberate practice for writing fiction. 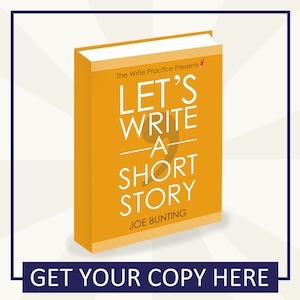 If you want to get better at writing fiction, write and submit a lot of short stories. Want more? Sign up for updates to learn exactly when the book comes out!